Barring a few forgotten containers and other infractions, I’ve been bringing my lunch to work every day since I first became an employee. It always amazes me when people find this a strange thing to do - as if it’s some kind of arcane sorcery that should be avoided at all costs. And considering the fact that Americans now spend more on eating out than they do on groceries, I think paper-baggers are in real danger of becoming extinct. So I thought I’d write here on the blog today about the untold benefits of bringing your lunch to work. I’m not alone in my lunchtime fetish for leftovers. Mr. Money Mustache is a personal finance blogger and early retiree on a mission to convert the world to living a frugal yet badass life. His concept is that often making simple changes will dramatically improve your financial situation while actually increasing the quality of your life. For example, biking to work instead of taking the car can save you around $10,000 a year in fuel, parking and maintenance costs, while also helping you stay fit, avoiding rage-inducing traffic jams, and giving you a fun challenge every day. Given this policy, it’s not surprising that MMM (as his fans call him) is a huge supporter of the brown-bagged lunch. But how do you give up the tantalizing aroma of all those coffee shops and bistros surrounding your office? What do you do when you’re on the run and you need sustenance, NOW? Well, here are six reasons you should try to ditch the lunchtime habit and pack your own lunch, plus some of my favourite recipes for simple and healthy lunches for work. If you ever want to improve your personal finances, you should first look at areas in your life where you can cut costs. One of the low-hanging fruit of your financial life is sitting right beside you on your desk - that lunch you purchased from the sandwich bar downstairs, that coffee cup from the shop next door, and that chocolate bar you snagged from the machine. You think about this: If you pay $15 a day for your lunch, five days a week, that’s $75 a week, or around $325 a month, or $3900 a year. If you’d invested that money instead, over ten years of your working life, you could have saved $55,906 (based on a calculation from Superlife.co.nz). So since you’re depriving yourself of that lovely little nest egg, what are you getting for that $15? In most instances, nothing you couldn’t easily make yourself for significantly cheaper. Of course, this is all relative. If you’re missing out on a decent chicken salad from the bar across the street to eat a lunch of reheated french fries, then of course it’s not healthier. 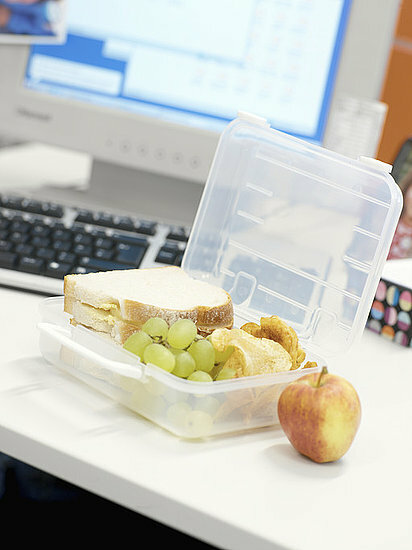 But on the whole, packing your own lunch is an easy way to eat healthier. Restaurants - even healthy ones - use a ton of fat and sugar and salt, and meals are often larger than you need, coated in cheese, or served with a side of fries or something equally nutritious. When bringing your own lunch you start to pay more attention to the foods you’re eating, and fresh, real food always tastes better than reheated pizza. When I’m in the kitchen microwaving last night’s tagine or chopping vegetables for a quick salad, people often come up to comment on my lunches. Bringing your own lunch is a talking point - especially if it’s not the done thing around your office - and will give you an easy conversation starter if you’re a bit shy. 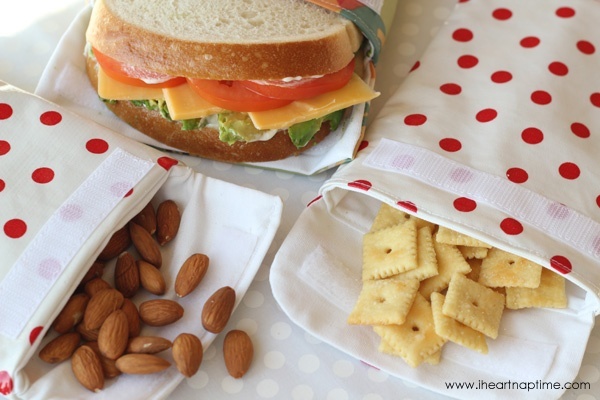 Making and packing your own lunch can actually be a great learning experience - doubly so if you team up with your kids to prepare lunches together. You learn how to shop smarter, how to plan ahead and store foods, how to cook different types of food, and likely expand your palette at the same time. Personally, I like to spend less of my time at the office and more of my time at home or hanging out with friends and family. Luckily, at my office, we have flexible work hours. I will usually heat up my lunch and eat it at my desk or outside if it’s a nice day, then come back inside and get to work again. Because I’m only taking 10 minutes instead of the 30-60 it might take me at a restaurant, I can go home earlier. Alternatively, if you are required to take the full 30-60 minute lunch time, but you don’t have to spend it at a restaurant, what will you do instead? You could go for a run, head to the gym, read a book, take a short class, play a card game with colleagues, bring some embroidery, or start working on the Great American Novel during your break. I love making my own lunches. There are no soggy sandwiches in my household, I like to make yummy things that I look forward to eating every day, and experiment with new recipes and flavours. I have a garden now and get a special kick out of using veges I’ve grown myself (or eggs from my chickens) in my lunches. Reusable lunch bags from iheartnaptime. Your choice of spices. I love smoked paprika, cinnamon, chili, black pepper, and a bit of ginger. Preheat oven to 200C. Line a baking tray with baking paper. Take your drumsticks and lay them on the tray, drizzle with olive oil - turn and drizzle the other side. Then, mix your spices in a small bowl - for four drumsticks I use about a teaspoon of each, except the chili and pepper, where I just use a decent pinch - sprinkle a little sea salt on each drumstick, then coat in the spice mixture. Flip them over and sprinkle the rest on the other side. Bake in oven for around 40 minutes, turning once. I will usually pack these in my lunch with a small salad of roast vege, or lettuce/spinach from the garden. They’re also great with some cheese and pickles. (I like to buy bulk bags of organic drumsticks. I will make these for dinner and make a few extra to take to work for the next few days). Make a huge batch and freeze it. I eat soups all through winter, because they are heavenly. Chop the pumpkin into 1/2s or 1/3rds and scoop out the centre. Place the pumpkin on a baking tray, skin down, smear with olive oil, sprinkle with ground coriander and chili, and roast on 170C for around 1 hour. You want it soft and a bit caramelised at the edges. In the meantime, chop up the onion, garlic, carrot and celery. Heat some oil in a large saucepan and soften the onions and other vegetables for 10-15 mins - don’t brown or burn them. When the pumpkin is ready, you’ll be able to peel off the skin with ease, chop up, and add to the pan. Add the stock and heat through for about 20 minutes. Then, grab a stick blender and blend everything up. And you’re done! Bring to work with some seedy bread and a bit of butter in a container. Yum! Preheat oven to 190C. Grease a muffin tin. Chop all your ingredients finely and cook as required - bacon, onions, etc. Pack the muffin cups with the chopped vegetables and cheese - they should be practically full. Then, whisk together the eggs, milk, and any seasonings you like - salt, pepper, even a bit of nutmeg or curry powder - and pour over the vegetables to fill the muffin cups. Cook in the oven for around 25-30 minutes, until golden. They are great hot or cold. Slices of sourdough bread, can of tuna, and some salad vegetables - make the sandwich up at lunch time and it won’t get soggy. Make your own hummus! It’s so simple - 2 minutes in the food processor - and you can take a big container to work to eat with cut veges or pita wedges. Chili! I love to bring leftover chili to have over pita wedges, corn chips, or with wild rice. Roast a tray of vegetables - carrot, sweet potato, parsnip, pears … - add a tangy dressing, some salad greens, and a little crumbed feta - voila! One classy salad.